MY HISTORY: How I began ferreting. 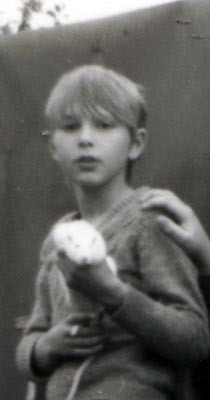 I was born in December 1956 and lived in a four bedroom council house in a small village in Derbyshire along with six brothers, three sisters and two nephews. As a child I was always surrounded by animals such as rabbits, mice, pigeons, dogs, guinea pigs, rats, canaries, budgies, and many wild animals that me and my family kept as pets such as bats, foxes, owls, jackdaws, and magpies. Even though we kept foxes as pets we still went, on occasion, to rid foxes for local farmers and ratting with terriers still provides an air of excitement and if anyone in the street had a rat problem they knew where to come. I was introduced to rabbiting at about 7-8 years old and although trips were not always productive I was hooked. Ferreting is my favorite method of rabbit control although there is nothing quite like watching running dogs working. 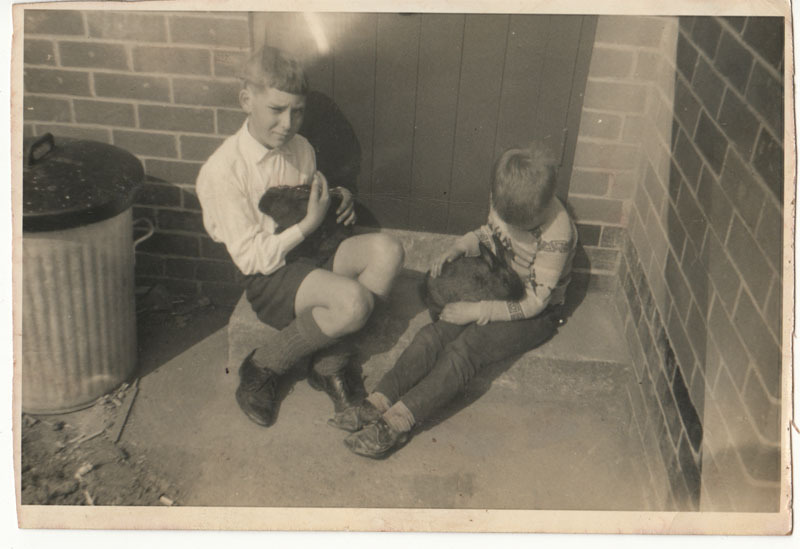 My first rabbiting trips were with my Dad, my eldest brother Doug or a family friend by the name of Ken Smith who used to borrow my Dads ferrets and nets and take me along with him. We mainly went to a place nearby called Weston on Trent to an old army barrack POW camp or to Aston Brickyard, both of which were within walking distance and there are still rabbits on these sites today. Since having transport I have been able to go further afield where the rabbits are more abundant. Rabbiting nowadays is more of a pest control and food supply for my many ferrets rather than food for the table, although we do eat them on occasion. I recall my early days as painfully cold, either white with frost or thick with snow. Dressed in a duffle coat, trousers too small, wellies three sizes too big, pockets full of nets and off we went. The ferret traveled in a small bag cut from the corner of an old Hessian potato sack, which was then concealed in the lining of a coat. The reason for this was so no one was any the wiser what we were up to as all our rabbiting was poaching.